Country Breakfast – THIS SATURDAY! 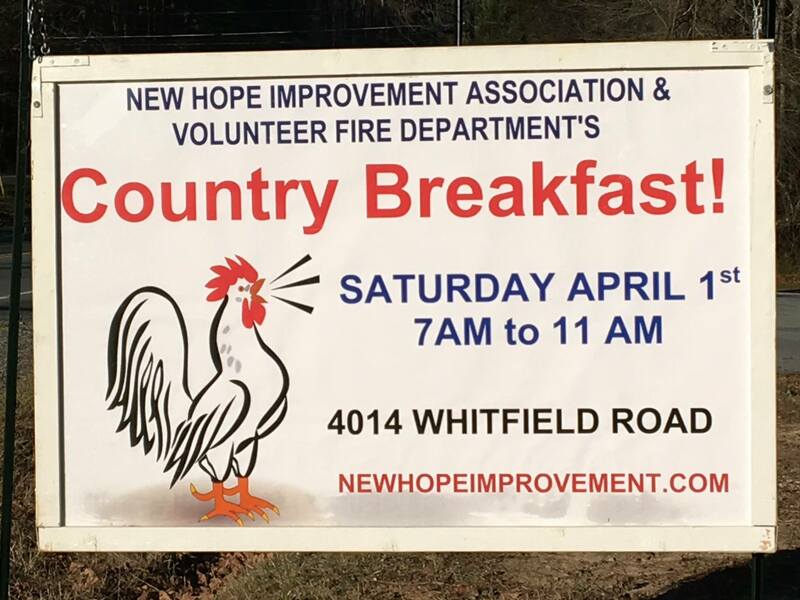 Join us Saturday morning for a hearty breakfast to benefit the New Hope Volunteer Fire Department and the New Hope Improvement Association! We’ll be serving folks from 7 am to 11 am and hope to see you there!